Kate Spade is the third major fashion designer to die by asphyxiation since 2010. Indeed, the circumstances around her death are eerily similar to those of Alexander McQueen and L’Wren Scott. Also, all three were close to the occult elite. 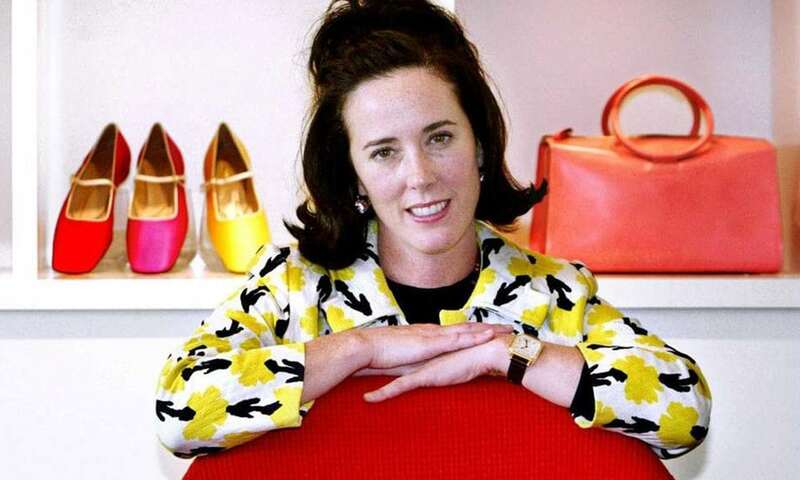 On June 5th, the renowned fashion designer Kate Spade was found dead by a housekeeper inside her New York City apartment. She was hanging from a red scarf attached to a doorknob. According to news sources, Spade left a suicide note addressed to her 13-year old daughter Frances Valentine telling her that is wasn’t her fault. Various details about Spade’s life have surfaced to explain her untimely death. 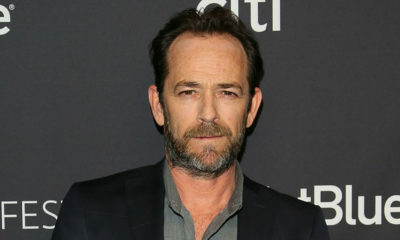 And, as it often happens in bizarre celebrity deaths, many of these details are conflicting. TMZ reported that Spade was “drinking a lot and depressed over separation and business problems”. The article speculated that Spade was depressed due to her husband wanting a divorce. 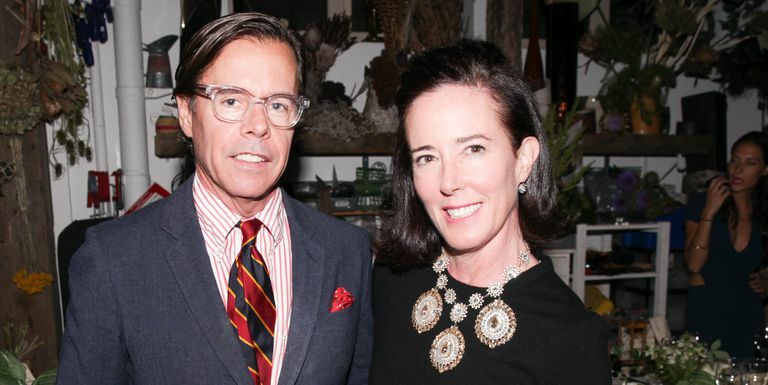 Kate and Andy Spade – an “affluent New York couple”. Spade’s family promptly reacted to Saffo’s claims, stating that she did not know her at all. Mallis first met Spade in the early ’90s, when the Kate Spade brand first took off. Mallis also added that the Spade couple appeared happy and “was at the front lane of the fashion universe”. Those closest to Spade apparently cannot believe that she would kill herself. Is there something more to this? Other than the way they’ve died, Kate Spade, Alexander McQueen and L’Wren Scott shared another common point: They were very close to the occult elite. As her friend Mallis said, Spade was in the “front lane of the fashion universe”. Her brand became nothing less than iconic and quickly adopted by the elite. Sample tweets coming from both sides of the political spectrum. 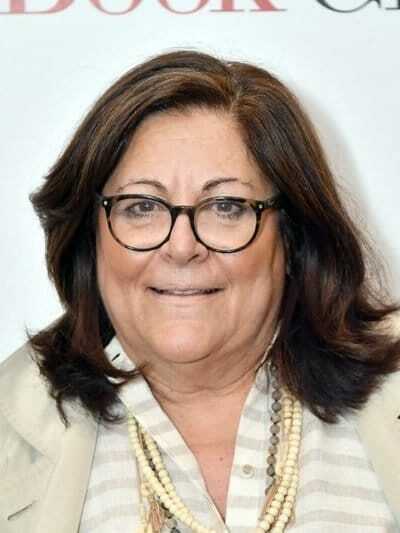 Although she sold her ownership stakes in the company in 2007, she was still active in the industry. In September 2016, Spade launched a new accessories brand, Frances Valentine, and legally changed her name to Kate Valentine Spade to match her new label. Meanwhile, the brand Kate Spade released symbolic ad campaigns that reflected the true nature of its owners. A Kate Spade holiday ad campaign featuring a one-eye sign. 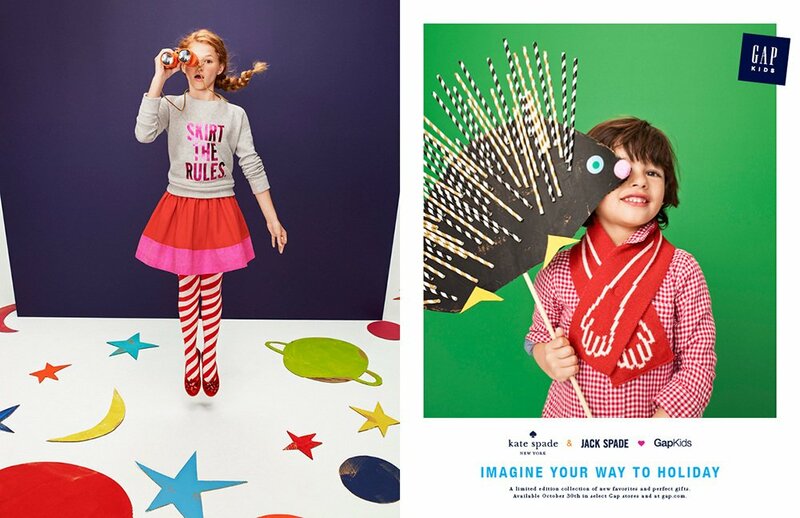 The ad campaign promoting Kate Spade’s collaboration with Gap features children doing obvious one-eye signs. Another Kate Spade one-eye ad. Kate Spade’s death is eerily similar to those of two other designers who were also at the “front lane of the fashion universe”: Alexander McQueen and L’Wren Scott. 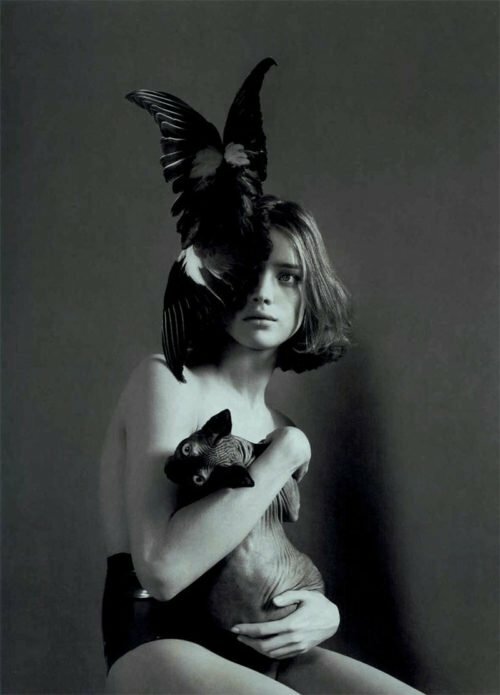 Alexander McQueen. The symbolism of this pic is obvious. 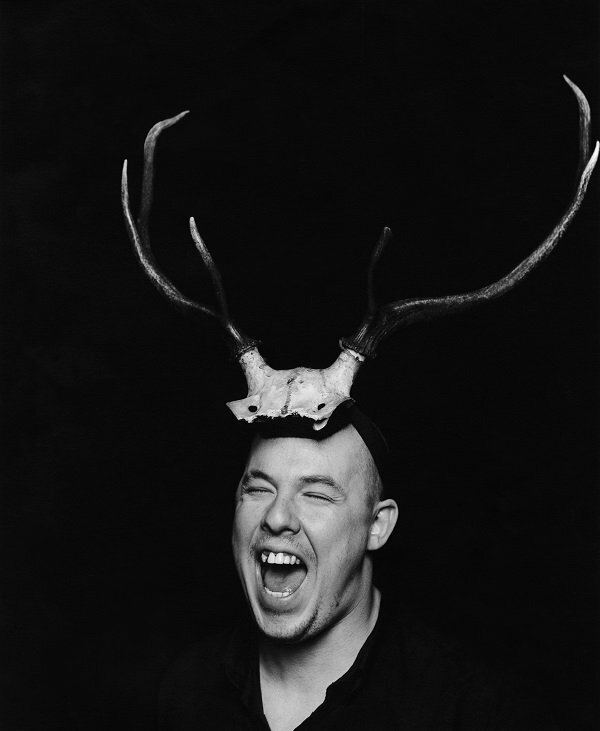 In February 2010, Alexander McQueen was found dead hanging in the wardrobe of his London apartment. He left a suicide note but officials never disclosed its contents. McQueen was at the forefront of the fashion world, dressing celebrities such as Sarah Jessica Parker, Nicole Kidman, Rihanna, Lady Gaga and members of the British royalty. 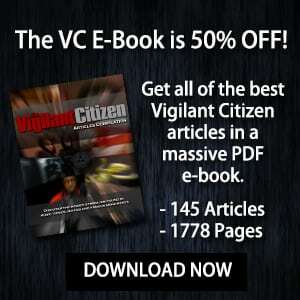 He was often featured in The Vigilant Citizen because his works were often permeated with heavy occult symbolism. 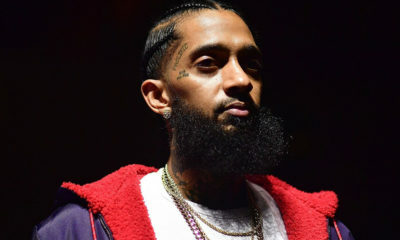 And the trend continued after his death. Lots of one-eye stuff going on in Alexander McQueen creations. An Alexander McQueen shirt featuring an obvious one-eye sign. 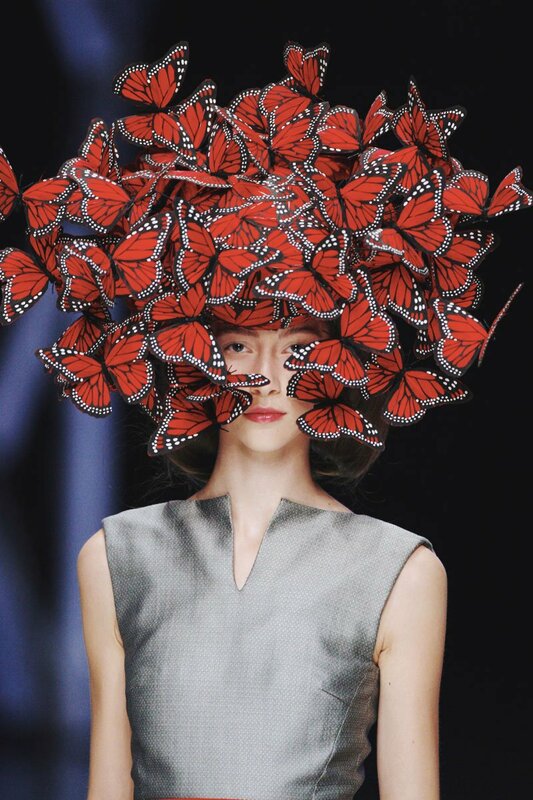 Lots of Alexander McQueen creations allude to Monarch mind control such as this hat made of monarch butterflies. 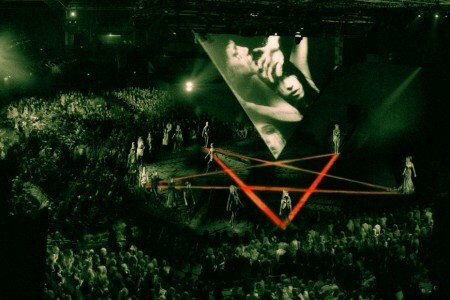 Some Alexander McQueen fashion shows were nothing less than actual occult rituals. 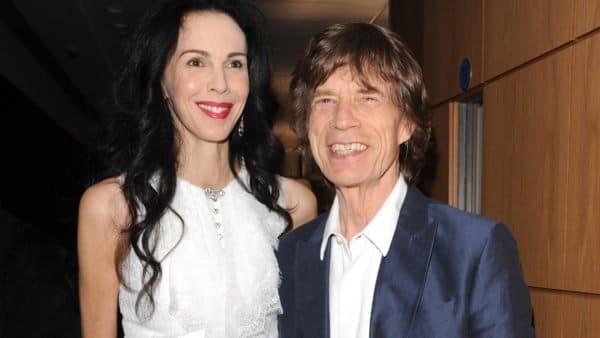 L’Wren Scott and her husband Mick Jagger. In March 2014, stylist L’Wren Scott died in the same exact manner as Kate Spade: Hanging from a scarf attached to a doorknob inside her New York apartment. Scott began her career as a fashion model to then become a stylist and a fashion designer. Her creations were worn by a long list of celebrities including Julia Roberts, Michelle Obama, Carla Bruni-Sarkozy (the former first lady of France), Sarah Jessica Parker, Angelina Jolie, Nicole Kidman and many more. Perhaps Scott’s most recognizable creation is the (appropriately named) “Head Mistress” dress she created for Madonna. In 2010, Alexander McQueen was found dead by hanging. Four years later, L’Wren Scott was found dead by hanging. Four years later, Kate Spade was found dead by hanging. 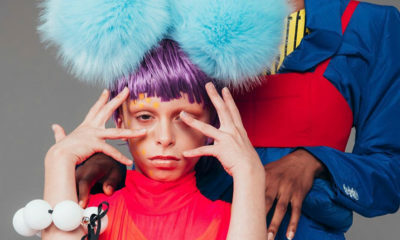 There is a bizarre pattern happening here involving some of the world’s most successful and most influential fashion creators. All three designers had ties with the world elite and all three lost their lives in similar circumstances. One cannot ignore the grim symbolism associated with these deaths: McQueen was found inside his wardrobe (wear clothes are stored) while Scott and Spade were found hanging from scarves (a fashion accessory). Is there a message being sent here? Coming from an industry that is bent on death culture, dark rituals and occult symbolism, it wouldn’t be surprising. “Personal demons” are actual demons preying on and I influencing us in subtle and not-to-subtle ways. If you’re under attack, there’s only one name they fear. Jesus. Jesus is just another name for the head devil. They have long removed the true names of the creator from our history. Yeshua is His real name. The talmud references are post 1st century. Also the Talmud really is nothing more than a collection of stuff Rabbais said that others deemed sacred. It is in no way on par with the Torah as far as being truly sacred. I promise you that you can call him Jesus. Jesus is a fictional character created by ancient Roman imperialists, the Flavian family, to keep the populations submissive to their rule. It a Satan’s most successful tool and has worked for the benefit of the 1% for over 2,000 years. You say jesus is a fiction and satan is real? Woow, let me check on that in my personal library. Nope, never found any clue but stories and people talking about him with faith but without fact, direction, analisys. Spin. Concepts. Don’t be scared, just be good, just be yourself. Sounds like voice to skull, not demons. What did u do to draw them out? The devil used to be an angel…..to be absent in the body is to be present with the l named Jesus! I see all of your downvotes but, I said what I said. I am alive because of Jesus. I found him when I searched for a way to get rid of demons. I had voices in my head trying to convince me to take my life. Jumping in front of a car or hanging myself was something i thought of every day. After I called for Jesus and said out loud to my demons that I am a child of God now, they disappeared. They have tried to come back but Jesus is with me and with his help and as long as I keep myself close to him they can’t come back, not ever. DIXIE DUMBS**T, THIS IS A POST ABOUT THE TRAGEDY OF HER DEATH. IT IS NOT ABOUT YOUR SELF-RIGHTEOUS RELIGIOUS OPINION! What do you do against demon posession? Tried drawing them out in the name of Jesus but its not working. I keep thinking that people with this much money and resources would most likely not choose painful and potentially prolonged hanging as the way to go. Maybe I’m wrong here, but I just don’t see it. Hanging to death is a hard thought. Seems worth a look since both were suicided. If you watch the film about Cobain, they called it a suicide but it was probably a homicide. The film you refer to is called ‘Soaked In Bleach’ — You can watch it on Netflix. Death by hanging is actually not that painful when its done properly. Basically you obstruct the blood flood from your carotid arteries to the brain, losing consciousness within 15-20 seconds albeit your brain remains alive for 5 more minutes and your heart for another 10. But you can say you pretty much die in those 10 to 15 seconds. I know this because I plan to commit suicide myself. Look into how the parathyroid correlates with depression and look to Dr Robert Morse youtube for guidance on how to heal yourself. Suicide is worthless because younare just going to have to deal with everything again. Its suppressing a symptom. Energy cannot be destroyed only altered suppression of this feeling via suicide only guarantees a blowback even worse. Get to a raw diet, fruit dominant, and there you are on your way. I hope he doesn’t kill him self! I was really depressed and I did Jason Vale super juice me 28 day challenge! It changed my life! The depression only comes back when I eat a lot of processed food. Then I just juice again and I feel better! Thank you for sharing your positive thoughts and response to how you were and how you now are. I don’t know who you are or what you have gone through or are going through, but I do know that suicide is not the answer, and I really hope that you don’t kill yourself! I am currently praying for you and will continue to pray of you. Don’t give up. –Speaking from someone who has wanted to commit suicide countless of times, but didn’t. 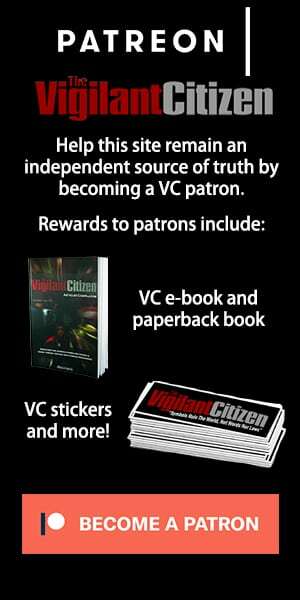 Within this forum you have contributed and provided us with information and knowledge. Surely, the world is a better place with you in it. You are loved and needed, please reconsider, there are many many options and beautiful things in this world. Although you may not believe or feel it right now, this feeling does not have to be permanent. Don’t do it. Suicide is the devil convincing you there is no way out. Don’t let him convince you. Your redeemer is Jesus. Let Him (Jesus) in. Hey @MexicanS. I just want to tell you that you are LOVED. You may not feel it right now, but there is a God Who loves you, just as you are right now, no matter what’s gone down. The very fact that I’m halfway across the globe (in India) and reaching out to you, I hope you will see that suicide is not the answer. “This too shall pass”. Just hold on to God’s love for you, YOU WILL GET THROUGH whatever it is. Big hug. Will be praying for you. Actually they now know even after the heart stops pumping the brain remains alive and alert for several minutes. Did someone come back and relay these telling facts? Nevermind don’t answer. Don’t leave too soon! Please be well. Wishing you lots of love, support, health, strength and harmony. One more thing: there are little things that helped me get through the day when I was depressed: 1) a gratitude journal (even if you’re grateful for small things like air to breathe and the sun on your face) 2) a playlist of uplifting songs (i.e. I love Heroes by Alesso and Superheroes by the Script. I also really identify with Pain by Imagine Dragons). 3) Writing positive messages on post-it notes (i.e. I’m not my illness) and sticking them on the doors of my closet. That is so sad, I implore you to reconsider. Grasp hold of someone, something, anything that will give your life meaning. There are support groups out there, or you can always talk to me. Suicide is not the answer. Ask Jesus into your heart, ask him to fill you with the Holy Spirit, and to surround you with his angels. You will be healed, and you shall be blessed in the name of our lord Jesus. This may not be related, but there is a photo of the husband today with a child’s mask on – I think it’s a mouse or something similar. I haven’t been on the site for a while, but if I recall, these Occultist Illuminati types are big into masks. Perhaps the husband was sending a coded message by wearing the mask? At any rate, I found Kate’s death suspicious from the start. Hey Tom, I actually just posted about this because it was super creepy. Had not thought about those mask parties etc., very good theory. Read this from a friend of a friend. So: 2010, 2014, and 2018. I would be really interested, if this line could be extended further in the past (2006, 2002, etc.). Maybe there is a prime event, that would help to explain the meaning of this all. 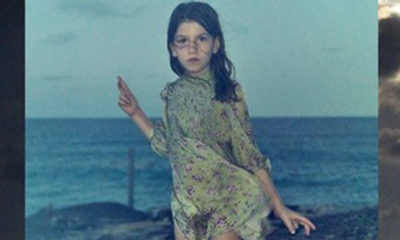 *The girl is, besides “levitating”, making the one-eye symbology, and her left hand seems to be making the 666 symbology! Recall the Tony Podesta pix where he and cohorts are all in bright blood RED loafers? Levitated girl in RED SHOES like Dorothy. Nothing in these multimillion $ ad campaigns is random or accidental or overlooked. Remember poor Michael Hutchence was “suicided”” the same way. Scummy Geldoff must know best. I was watching a news report and in the crawl they were reporting on her death and INXS was playing to commercial..creeped me out..
Or else its Illuminati insider signaling. I read in one article he was allegedly having an affair. But VERY weird. Why not put on a huge collar or hat or scarf w/ big glasses to get some privacy? Totally inappropriate. Isnt Mickey Mouse some sort of pedo symbol? Was this occult murder? Look at the date of occurrence! Wow! I couldn’t look at the pictures associated with that McQueen guy for to long.They just scream evil. Nothing says straight about that photo of Andy Spade. Nothing. In the add with the hedgehog, the little boy has a red scarf with hands on it around his neck. Interesting. Also L’wren and Kate were both found hanging from red scarves. How does one choke herself on a doorknob anyway?? L’wren reportedly had a black scarf. 1. Could be true and she was definitely sacrificed. 2. Could be a hoax, her bag sales have already skyrocketed. In both cases, among other stuff, take into consideration the Big Pharma factor – medication for mental illnesses. Huge propaganda, big money in their pockets. 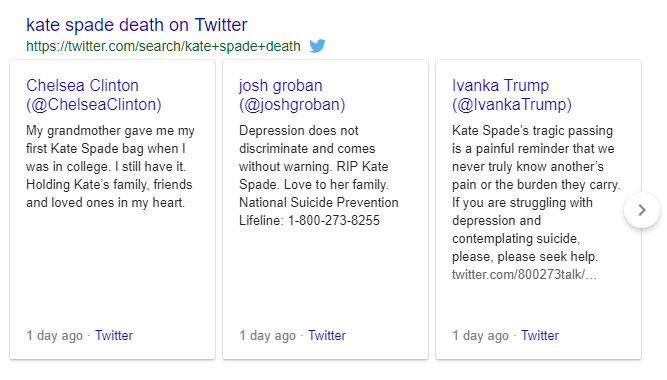 BTW David Spade didnt seem like he cared too much about his sister in law in his tweet about her (fake) death. Apart from the obvious. Look at the dates of each of them, The magical 11 . Ushered through the gateway. Kate Spade -5 June (6) 2018 A double (11) 5+6= (11) 2018= (11) Alexander Mc Queen (11) Feb 2010 L”Wren Scott 17 March 7+3 = (11 ) 2014 Robin Williams of asphyxia (11) Aug 2014 Whitney Houston (11 ) Feb 2012 Japan Airlines Flight 123 plane shot down 12 th Aug (8) 1+2+8= (11 )1985 Peaches Geldolf April 7 = ( 11 ) 2014 Virginia Tech Massacre 16 April (4) = (11 ) 2007 Could go on for ages -probably bore you all. An Agenda or is this written in the computer program ? Leave you to make up your own minds re that . Other numbers that get played with in the same way are 13 18 the all pervasive 6. In the news newspapers and movies etc Enjoy! L”Wren Scott 17 March 7+3 = (11 ) 7+3=10 everywhere i know buddy.. I think he meant 1+7+3. Just my 2 cents. King Sun. -above of course 7+3 =10 everywhere—-forgot to put in the 1 —Mea Culpa . Have YOU ever seen the weird such as this around you? How high are the door knobs in the homes of the rich and famous? Seriously. ” Bipolar disorder… stemming from her immense celebrity.” Bipolar does NOT stem from outside factors. It is a chemical imbalance, usually inherited. Outside factors can trigger episodes and symptoms but her sister’s statement is so irresponsible. Bipolar is a disease, not something you get because you are unhappy with your life. 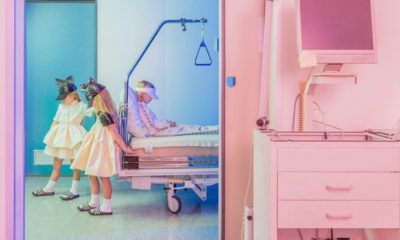 After the news of her suicide by hanging, I read that this act could be a sacrifice and her dying moments of agony (asphyxia) were used to retrive adrenochrome from her. I have no words. Amschel Rothschild (41), the man many believed would be the prestigious Rothschild Bank’s next leader, hanged himself in a Paris luxury hotel… and an investigator said that the fixture his bathrobe cord was attached to, easily came out of the wall with a slight tug. Robin Willams, too (scarf/doorknob). And now Bourdain.